As a company, Yorkshire Dales Meat is renowned amongst chefs for our excellent sourcing of lamb. The Yorkshire Dales has a long tradition of producing excellent quality lamb, and where possible we source our lamb from this area. We appreciate that lamb is becoming a more luxury product due to rising prices. 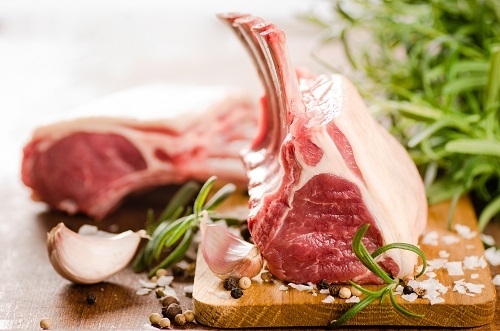 We use our experience to ensure that this isn’t the case for our customers- the lamb we sell has been specially selected for their size and leanness, resulting in minimum wastage. We are also able to offer a variety of cuts of lamb, meaning that we can accommodate most budgets. In addition to traditional lamb products, we also offer mutton. With its fuller flavour and sustainability credentials, mutton is becoming increasingly popular, offering chefs additional variety when writing menus, whilst still being cost effective at the same time. Below is an overview of the lamb products we sell; if you are looking for a lamb product which isn’t on the list below, please get in touch with us.